Long Terawan's land also include Mulu National Park-but all now threatened by oil palm plantation. While the Long Terawan residents organised a para-legal land rights workshop on last Saturday the oil palm company which intend to take away the villagers’ land ran a religious seminar in the Royal Mulu Resort to distract the villagers from attending the land rights workshop. All the village committee of Long Terawan attended the religious seminar while only 1 village committee member attended the opening of the land rights seminar on Friday. A 10-member delegation from Miri, comprising mainly NGO Brimas staff travelled 300 km to support the program, but only a dozen or so villagers attended the workshop which provide vital information to the villagers on land rights. Lawyer Abun Sui, Eric Seringgeh and Mark Bujang became resource person/speakers for the workshop which lasted a whole day on Saturday. 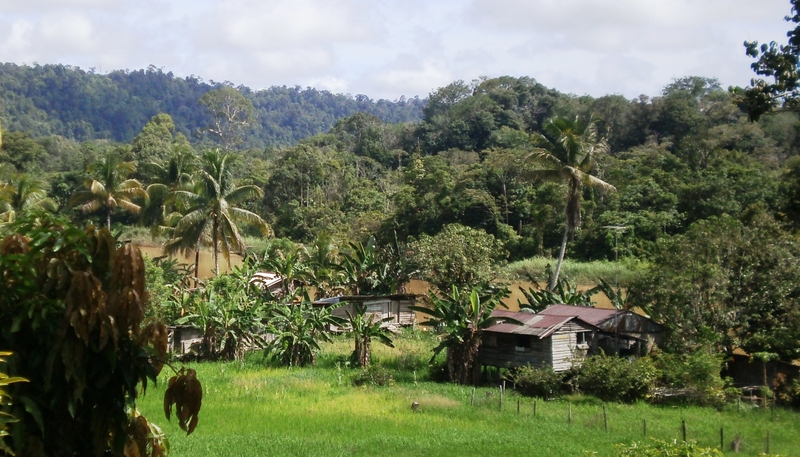 The village’s 800 000 hectare land is now threatened by the giving of `Provisional Lease’ by the state government to a oil palm plantation company Pusaka KTS. The company proposed to develop 200 hectare of the land into oil palm plantation and deliver to the villagers when the oil palm mature. However in the absence of opportunity to inspect any written agreement villagers are suspicious that they have to repay up to RM2mil development cost of the oil palm meant as a form of compensation for the land. At the religious seminar at Royal Mulu Resort it is reported that Pusaka KTS made some grant to a local group -as it had done before, to conduct public relation for its land grabs operation. Ironically the NCR land of the Long Terawans and Terings actually include the Mulu National Park lands. The running of the parallel function could reflect the imminence of the state elections where BN is running against popular discontent at rural levels due to widespread land grabs all over the state. But as a practice the ruling parties and loggers do conduct such distractionary functions whenever Opposition parties or NGOS venture into the rural areas to run rights based workshop to empower rural folks.